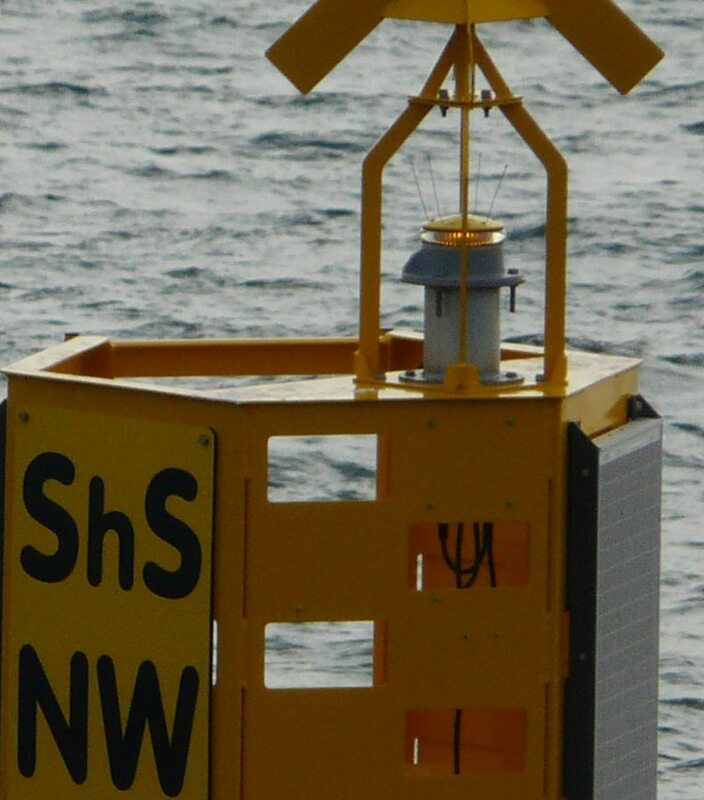 Hydrosphere offer a variety of self contained navigation lights with ranges of between 2NM-6NM as well as stand alone lights with ranges up to 12NM, which are all suitable for lighting navigation buoys. For ranges of 5Nm or less then a self-contained solar powered light is often the best option. These programmable LED lights comprising solar panels, battery, battery housing, regulator, electronic controlsand light source in a single compact package are simple to use and easy to maintain. Simplicity and ease of use are the main advantages of a self-contained light. By definition they do not need a separate power supply installed. If the range is greater than 5Nm then a stand-alone light with a separate solar power supply will probably be required. The exact range possible and the size of the solar power supply will vary with the flash character. For more information on our full range of navigation lights go to our navigation lights overview page.